When it comes to fuel to provide the motive power which enables us to enjoy our historic vehicles, there is perhaps no more apt description than “the one constant is change”. 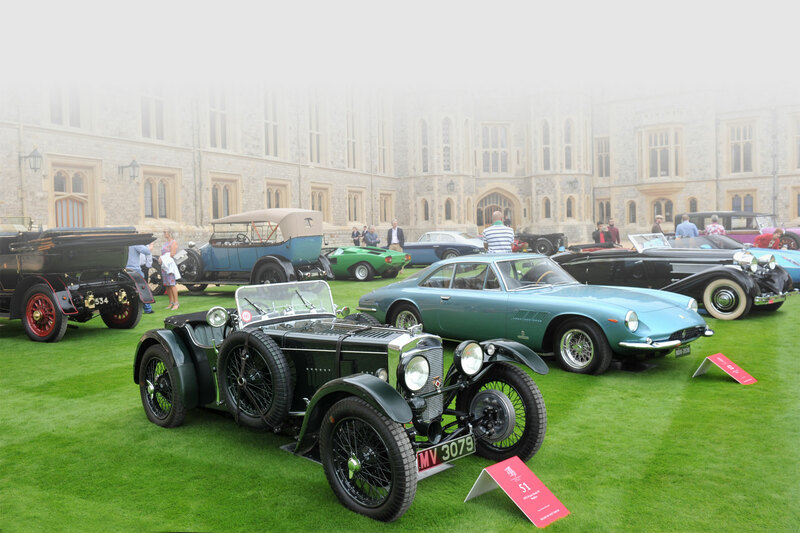 Many owners and drivers of historic vehicles resist change as a matter of course; to some extent it goes with the territory of enthusiasm for classic and historic vehicles, which by definition are from an earlier time, and which many owners quite reasonably do not want to modify or update. It is part of the charm of our hobby that our vehicles should retain as many of their original characteristics as possible. When it comes to road fuels, however, our ability to resist change is much more restricted by the realities of the availability and distribution of fuel. Clearly if it is desired to drive an historic vehicle for a distance of 250 miles, for example, but the fuel tank capacity provides a maximum range of 200 miles, it will be necessary to refuel part-way through the journey. Therefore if a hypothetical situation existed in which special fuels were available for historic vehicles, they would have to be reasonably available all over the UK in order to permit their unrestricted use. Unfortunately, the reality is that none of the normal fuel retailers is prepared to provide special fuels for a sector of the motoring public which at best represents perhaps one tenth of one per cent of the number of vehicles on the roads of Britain, and to make this type of fuel available from most of the retail outlets in the country. Demand would be almost non-existent in the winter months, and very limited even in the summer months. Commercially, the scenario of special fuels for historic vehicles at any meaningful level of availability is a non-starter. Therefore it must reluctantly be accepted that as owners and drivers of historic vehicles, we have to use the available fuels, and make adjustments or small changes to our historic vehicles to enable them to operate satisfactorily on the changing retail fuels, if continued use is to remain a reality. use of ethanol in petrol: initially at 5% volume, but with the expectation that 10% volume, and possibly higher levels in the blend, will become a reality in the future. Concerns were expressed about the loss of low octane fuels with, in the view of some, “too much” octane for old engines. Study has shown that this concern is baseless. In effect, it is impossible to have too much octane quality, and older engines can operate very satisfactorily on a fuel with octane quality greatly exceeding their natural requirement. Many 1950s vehicles, for example, probably require no more than 80 octane petrol, if such a product were available, yet will run well on 95 octane petrol. Furthermore, most pre-war cars were designed to tolerate even lower octane fuels, yet will also run well on today’s 95 octane petrol. The withdrawal of lead from petrol raised very real concerns about engine damage from exhaust valve seat recession (VSR) in older engines with cast-iron cylinder blocks and heads. The Federation commissioned engine tests to assess the level of protection against VSR provided by fuel additives for use in historic vehicles with unsuitable metallurgy. Those additives providing the required level of protection were afforded a Federation endorsement, in a scheme which has been a good example of a successful programme of intervention to assist Federation members to overcome potentially harmful side effects from the change in fuel specification inaugurated by the Government. In addition to defining reliable additive-based treatment options to counter the unleaded threat, the Federation also assisted with information about preventative options in the form of hardened exhaust valve seat inserts to overcome the VSR problem. Furthermore, the Federation lobbied successfully to secure an EU concession for the sale of leaded petrol in the UK, a concession which survives to this day, although current sales outlets are few in number, and the uptake of the product is quite small. In part, the difficulty of setting up a satisfactory distribution for leaded petrol for the use of historic vehicles, is proof of the general truth that a good distribution system for specialised fuels for historic road vehicles is not a viable commercial proposition. The progressive increase in the use of high volatility blending components in petrol over many decades was identified by the Federation as a matter of concern, with many owners of historic vehicles affected by the mystifying but frustrating effects on vehicle performance which can result from the mis-matching of fuel volatility to the needs of older fuel systems. Explanations of the problem were accompanied by simple common-sense solutions which allowed owners to make minimum modifications to their vehicle fuel systems to offset the effect of higher volatility fuels. The view expressed by some, that the solution is to add kerosene to the blend, was examined in some detail, but is not generally supported by the Federation on the basis that there are more effective ways to deal with the problem, and also because of concerns about the possible dilution of lubricating oil in the sump by unburned kerosene, with its implications for increased engine wear rates. Nonetheless, in 1991 the Federation obtained a general licence from HM Customs & Excise permitting the addition of rebated kerosene to fuel in the tanks of pre-1940 vehicles. A section discussing this aspect in more detail is included towards the end of the topic on fuels, for those who wish to read more on the subject. The advent of ethanol blended into in petrol in recent years has resulted in a resurgence of activity by the Federation in investigating concerns, proposing possible solutions and, once again, executing tests to provide an additive based partial solution to the problems associated with the use of ethanol in petrol. This work has been backed up by a widespread communication programme to provide informed comment on the issues at stake. Representatives of the Federation have also attended meetings held by the Department for Transport (DfT) and the British Standards Institute (BSI) in order to promote, and as far as possible, to safeguard the Federation members’ interests. Below are listed the outcomes of the Federation’s work over the years to assist members to continue to achieve satisfactory operation of their historic vehicles with contemporary commercially available fuels. The final additive, Tetraboost, was not tested, but the Federation carried out an analysis of its composition and has confirmed that if the dosage instructions are followed correctly, Tetraboost adds 0.15gTEL per litre (the equivalent lead content of 4-star petrol) to unleaded petrol. This is more than adequate to protect against potential VSR in engines with unsuitable metallurgy. Retailers offering leaded petrol (specification equivalent to the old 4-star petrol): As well as being a member of the FBHVC, producers, importers and distributors of leaded petrol must hold a permit from the Secretary of State of Transport in order to comply with Motor Fuel(Composition and Content) Regulations 1999. *Dawson Engineering has very limited stock. Supply problems indicate that they are very unlikely to continue to stock it. Check before travelling. **Stoke Row sell premium unleaded petrol and mix it with Tetraboost on site. check radiators for condition and effective dissipation of engine heat. Many old radiators may have become furred-up or partially blocked, leading to significant reduction in their ability to keep the engine cool in traffic. Often, simple modifications such as these can be extremely effective in preventing the formation of unwanted vapour bubbles in the liquid fuel. Relatively minor changes need not alter the character of a historic vehicle, while thermal baffles and heat shields can be fitted sympathetically to provide minimal visual impact. Compatibility: some elastomers, plastics and composite materials are not compatible with petrol containing ethanol. Where problems are experienced, incompatible materials in the fuel system should be replaced with compatible alternatives. Acknowledgement and thanks to CONCAWE who provided the above data. These all received an ‘A’ rating in the research which enables all these products carry an endorsement from the FBHVC. The endorsement is in the form of the FBHVC logo and the words: ‘endorsed by the FBHVC as a fuel additive for protection against corrosion in metals’. Combustion: there is no evidence that the addition of ethanol to petrol directly affects combustion adversely, but ethanol does have a leaning effect; fuel mixture strength becomes slightly weaker, and this is particularly true for higher ethanol blends. Petrol containing 10% ethanol for example, would result in a mixture-leaning effect equivalent to 3.6%, which may be felt as a power loss, but also could contribute to slightly hotter running. Adjusting mixture strength (enrichment) to counter this problem may prove beneficial. There is a further secondary effect on engine operation from the addition of ethanol to petrol, in that it adversely affects fuel boiling characteristics by increasing volatility at lower temperatures, and so could exacerbate vapour lock problems. The advice already given about practical steps to counter these difficulties (under the boiling characteristics section above) can produce real operational benefits. Matt Tomkins, an associate of FBHVC and undergraduate student at Oxford Brookes University, recently carried out a study of carburettor component degradation in varying concentrations of petrol/ethanol mixes. This study was submitted as his undergraduate thesis and Matt has been kind enough to give FBHVC permission to reproduce it here. You are respectfully requested to respect his copyright of this interesting work. There are many historic vehicles and machines sheltering under the Federation umbrella which use fuels other than petrol. Over the years changes to these fuels have also resulted in the need to adapt in order to ensure their continued operation. Some examples of action by the Federation in respect of these ‘other fuels,’ and the engines on which they operate, are given below. In 2006, FBHVC looked into the use of Tractor Vaporising Oil (TVO) in tractors. TVO has not been marketed as such since the 1970s, so owners of tractors with spark ignition engines either had to convert to run entirely on petrol (may not always be possible, and is expensive) or create their own TVO using kerosene heating oil. Not only was this illegal for road use (because kerosene, like 'red diesel', is a 'rebated' fuel on which normal duty is not charged) but because of the way the law is worded, it was also technically illegal to use home-brew TVO in a tractor on private land if that tractor is licensed for use on the road. FBHVC took this matter up with HM Revenue and Customs, and the result was a special licence allowing members of FBHVC subscriber organisations to mix rebated kerosene with other non-rebated fuels (typically petrol) in the tanks of their tractors. However, mixing with red diesel is not allowed. A typical recipe for TVO blended from available fuels is one part petrol to one part 28 second heating oil (kerosene). Use of 2 parts petrol with one part kerosene will produce a higher octane blend. Members of FBHVC subscriber clubs may obtain a copy of the licence on application to the Secretary. The sulphur level of gas oil dropped from 1000ppm to10ppm as from 1 January 2011. Federation representatives attended stakeholder meetings with the Department for Transport in the run-up to this change, to influence matters where possible, and to ensure that there was a sound knowledge of the changes to come and their possible effects on historic vehicles or machines owned by members of FBHVC subscriber organisations. The change in fuel specification had implications for historic agricultural and construction equipment, and perhaps stationary engines, or historic boat engines running on diesel-type fuel. Tractors run on TVO were not affected but for those with diesel powered historic machines normally using ‘red’ diesel or gas oil, it was felt that the changes in sulphur levels might cause some difficulties. Trucks and buses should not have been affected as they had already been exposed to the reduction in sulphur levels in on-road diesel fuel. When a sudden change to ultra-low sulphur diesel has occurred in the past, some operators have experienced problems of seal swelling or shrinking, leading to leaks from the fuel system, although this has by no means been a universal experience. There have also been some fuel stability issues with lower sulphur diesel fuels and also with those containing bio-diesel components, which have resulted in blocked fuel filters and similar problems. Where fuel leaks occur, new seals should be fitted. These should preferably be made from Viton, as there may also be some potential compatibility problems from the inclusion of bio-diesel components. Viton seals should resolve all these difficulties, and it is obviously preferable to replace seals only once. Fuel filter elements should be replaced to overcome high pressure drop across the filter body which can lead to fuel starvation. Some have found it necessary to change filter elements more frequently than in the past. With lower sulphur diesel fuels, particularly those containing bio-diesel, fuel storage is potentially also an issue. Fuels using bio-diesel components have been observed to suffer reduced fuel stability and/or storage life. Fuel composition changes require that fuel housekeeping improves (tanks should be clean and dry, as the presence of water in the tank will encourage microbial growth leading to potential formation of sludges and slimes). Ideally, fuel should be used as quickly as possible, and not stored for lengthy periods. Fuel tank seals, including sight-glass seals, may suffer from the change in sulphur level and the inclusion of bio-diesel components. These comments apply mainly to those owners such as farmers, who have their own dedicated storage tanks, and who also enjoy the use of historic ‘red diesel’ machinery such as preserved tractors. Do you use gas oil (‘red diesel’)? Gas oil for off-road equipment will be sulphur free by January 2011. This is needed by cleaner engines fitted in new off-road equipment which will be made to meet stringent new EU emission standards. These standards will improve air quality and reduce adverse health and environmental effects. Sulphur free gas oil is also likely to contain up to 7% biodiesel content. The majority of existing equipment should not have any problems with the new fuel but a few precautions are recommended. Affected equipment will include tractors, other agricultural equipment such as combines, construction plant, forklifts, portable generators and boats, but fuel for stationary and heating applications may also be affected. Examine fuel systems following the switch to the new fuel and ensure that any seals or pipes found to be leaking are replaced. If you are having older machinery serviced, replace fuel seals and pipes as a precaution. Replace fuel filters after the first two to three tankfuls of the new fuel. Remove all water from the tanks and conduct monthly checks so that they remain free of water. Tanks that don’t already have drain points for removing water are likely to need modification. Examine sight gauges on older fuel storage tanks for signs of leakage and replace any leaking seals. If you are having tanks serviced before you receive the new fuel it would be advisable to replace fuel seals as a, one-off, precautionary exercise. Replace fuel filters after two to three deliveries/turnover of the new fuel. Ensure the content of tanks is turned over every six months or in any event no less often than every 12 months to help prevent blockage of filters. Gas oil for heating, stationary equipment is not required to be sulphur free. However, some fuel suppliers may supply you with sulphur free gas oil for these applications as well, in which case the above precautions will be equally applicable. Gas oil sold for inland shipping and recreational craft when used on inland waterways is required to be sulphur free. However, gas oil for sea-going marine use is not required to be sulphur free. It is not anticipated that suppliers of marine fuel will switch to sulphur free, but you may wish to confirm this with your supplier. Let your fuel supplier know what purpose you need the fuel for. They should supply you a fuel that is fit for purpose and be able to advise you of the sulphur and biofuel content of the fuel. Fuel changes are to ‘red diesel’ for off-road equipment: historic trucks and buses already use low sulphur fuels, although they could be affected by inclusion of bio-diesel components. Check seals for leaks, both on fuel systems on machines and also on storage tanks. Maintain good housekeeping in storage tanks (i.e. drain any existing water from storage tanks and keep them clean, so that only dry fuel is stored). Reduce fuel storage periods, ideally to a maximum of six months. Check and replace fuel filters after the change to the new fuel. If you are replacing seals, it is best to use a material which is fully compatible with the new fuel. CONCAWE, an association of mainly oil industry representatives, has conducted tests of materials compatibility, and expects to issue a formal report shortly. The following draft table extracted from the report was issued at the Stakeholders’ Meeting. It covers blends of diesel fuel containing bio-derived components. The most universally recognised compatible seal (elastomer) material is known by the trade name ‘Viton®’. Other seal materials e.g. Nylon, Teflon® and Fluorocarbon are also recommended for use with the new fuel. CONCAWE comment: This list is not comprehensive and the quality of the material must be appropriate for the intended application. Poor performance including overheating, poor hot starting and loss of power, in historic vehicles. Problems of the type described above began to be reported in significant numbers in the early 1990s after the disappearance of ‘two star’ leaded petrol. Some believed that higher octane ‘four star’ petrol could not be safely used in older low compression engines, resulting in some enthusiasm for the addition of kerosene to petrol for use in historic cars, in order to reduce octane quality. This line of argument has been overturned, and in fact it is now generally accepted that while ‘excessive’ octane quality might be a waste of money, it is not harmful in low compression engines. The alternative view, that the greatly increased volatility of modern petrol is to blame for operating problems in older engines, is widely accepted. This aspect of modern fuels has been brought into focus again recently over the issue of addition of ethanol to petrol under the EU renewable fuels directive. Ethanol addition increases volatility, so any problems associated with high fuel volatility are likely to be exacerbated with fuels containing ethanol. With this in mind, there has been a renewal of interest in the addition of kerosene to petrol. Kerosene has a boiling range from about 160oC to about 250oC, whereas petrol boils over the approximate range 35oC to 195oC. Problems experienced in older engines, such as overheating, power loss, poor hot starting etc. have been attributed to the increased proportion of low boiling material added to petrol in more recent decades. This is believed to result in vapour formation in the wrong places, thereby upsetting fuel-air ratios, and in the main, causing enleanment of fuel-air mixtures reaching the combustion chamber. Addition of a high boiling material such as kerosene does not affect the ‘front end’ of the fuel in the sense of preventing low boiling-point hydrocarbons in the fuel from vaporising (low boiling point hydrocarbons in the fuel will boil off and form vapour long before the kerosene starts to boil), but if kerosene is added at 5% or 10% by volume for example, the proportion of the ‘front end’ components will be reduced by a corresponding amount, and this may be just enough in some engines to alleviate the negative effects of potentially excessive vapour formation. Some owners of historic vehicles report significant benefits from the use of kerosene in this way. However, the high ‘back end’ boiling temperatures associated with kerosene should not be overlooked. Problems can arise in engines not adapted specially to burn kerosene-based fuels (eg tractors designed to run on TVO). Use of petrol containing significant amounts of kerosene may result in incomplete combustion, since a fuel which has not completely evaporated will not burn. Any unburned material will find its way into the sump where it will dilute the lubricating oil. A significant amount of diluent derived from kerosene addition in the lubricating oil would run the risk of lubrication problems, with consequent increased wear of bearing surfaces. The use of kerosene (TVO) blends in historic agricultural tractors has been cited as a reason to support the use of similar fuels in historic vehicles, particularly as some of these machines use car-derived engines. However, in order for these machines to burn kerosene-blend fuels efficiently, a special vaporising inlet manifold was used on the tractor version, to ensure that complete combustion occurred, without the risk of oil dilution. The same engine in a passenger car, if operated on kerosene-blend fuels, will not be so well suited to these blends. These suggestions will be of most value in engines where the inlet manifold and the exhaust manifold lie on the same side of the engine. Engines where carburettors and exhaust are on opposite sides of the cylinder head tend to be much less affected by volatility related problems. In addition, the condition of the radiator in water-cooled engines should not be overlooked. Old radiators can become really quite inefficient over time with accumulation of scale, debris and sludge on heat transfer surfaces, but the process can be slow and may not be noticed. Chemical flushing can improve cooling efficiency, but in some cases a replacement radiator core may be the best way to restore efficient operation. My feelings on this are that basically any 2 stroke engine that is running hotter than normal is a concern and, if it wasn't possible to adjust the engine to reduce temperatures back to somewhere near the previous levels, I would be very cautious when operating the engine anywhere near the limits of its performance (note: less of an issue for industrial type 2 stroke engines that are designed in a low state of tune so that they can run all day, every day). I would suggest the oils will cope with the higher temperatures (in testing we take the oils way beyond normal temperatures), but the engine may not be so happy - any reasonably tuned 2-stroke engine can be seen as a seizure waiting to happen! If the combustion temperature is raised then the piston will get hotter and expand further and then you could be in trouble. If it's not possible to adjust the engine to regain the cooler temperatures then I would definitely be keeping an eye on the piston condition for any evidence of scuffing and considering a higher lubricity oil, so if currently using Act>evo 2T, we would suggest switching to Power 1 Racing 2T, and if currently on Power 1 Racing 2T then consider a move to a full racing product like A747. If there is evidence to support the fact that the engine in question is actually happy to run at the higher temperatures, then we have to consider that any temperature increase will also result in increased levels of deposits in the engine, especially around the piston rings, so a better quality product that meets the ISO E-GD performance level (e.g. Power 1 Racing 2T) would be a sensible move. In all cases where pre-mix lubrication is used we would recommend keeping to whatever fuel to oil ratio has been used previously - a better quality lubricant in terms of lubricity and detergency does not automatically mean the amount of oil in the mix can or should be reduced. Regulation 39(2)(c) of The Road Vehicles (Construction and Use) Regulations requires all petrol tanks on vehicles first used after 1 July 1973 to be metal. This applies to all vehicle types. There are no requirements on the material of diesel tanks. The only exemption from the requirement for road vehicles is for vehicles with fuel tanks approved to Directive 70/221/EEC or ECE Regulation 34. These permit plastic tanks provided they have passed impact resistance, mechanical strength, fuel permeability and fire resistance tests. Fibreglass tanks may not be compatible with ethanol nor will many of the tank liners available. Specialist advice should be sought to remove existing tank liners or before using a slosh type sealant as many of these products are not suitable to use on fibreglass.